The Tsingpu Tulou Retreat is set in the UNESCO-listed area of Fujian Province in south-eastern China. The resort comprises five classical tulou structures—centuries-old earthen buildings unique to this mountainous area of the country. Incredibly, three of these buildings were constructed during the latter part of the Qing dynasty. 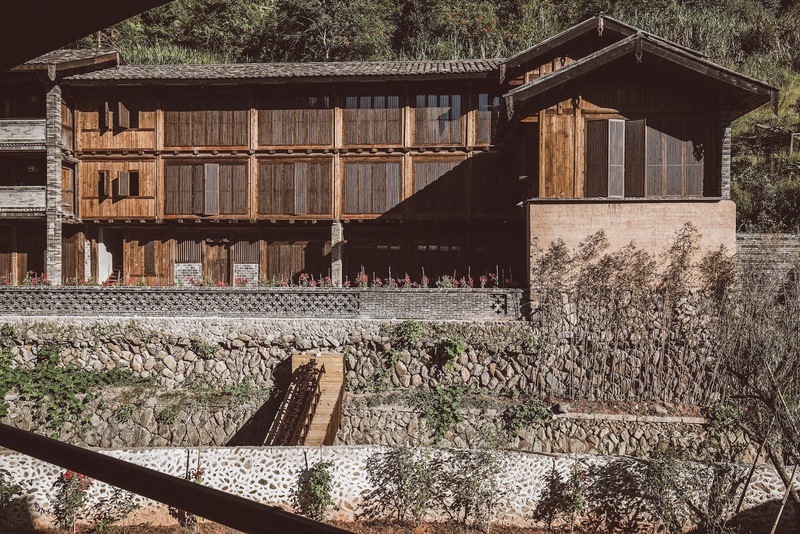 Architect Hua Li, of TAO, emphasises the essential meaning of place by presenting an exterior that seems untouched by time, retaining ancient rammed-earth and wooden-architecture style, as well as featuring artistic decorations from the region. Within the buildings, the principal elements of green slate, warm wood, and Chinese fir unite, while columns and beams from ancient neighbouring structures were incorporated into the renovation, highlighting traditional craftsmanship. The in-room furniture by FNJI incorporates this tradition into a new design language that supports daily life of contemporary China. 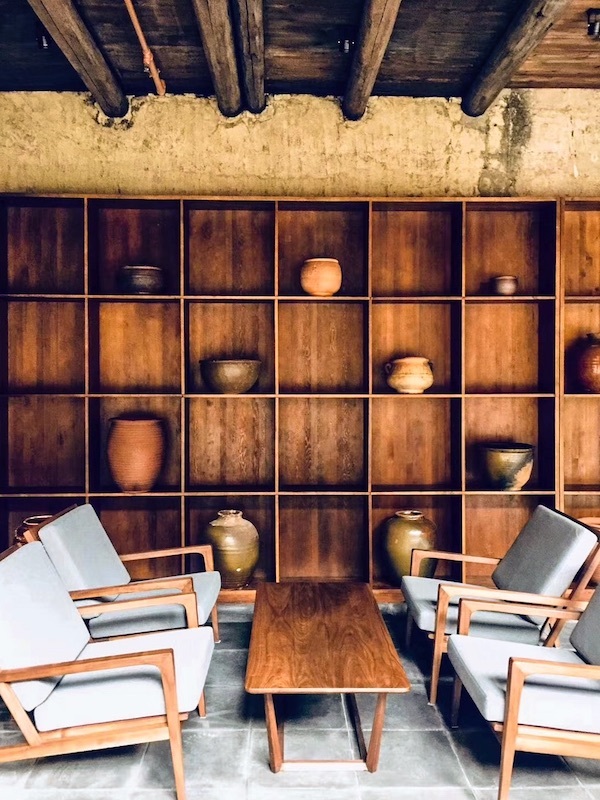 The public areas of the 22-room, two-suite Tsingpu Tulou Retreat present welcoming open spaces that connect an interior courtyard in each of the tulou buildings, including a restaurant showcasing Hakka food, exhibition halls, handicraft workshops, a cooking studio, a yoga studio, and a children’s playground. Guest immerse in customs with on-property citrus tea-making and Zhangzhou porcelain pottery, as well as exploring the surrounding hills in search of harvesting the local delicacy of fresh bamboo shoots. Tours of Taxia village with a feng shui master explore the ancient ideology which the town was built upon, and ventures into the UNESCO Tianluokeng Tulou Cluster of circular structures reveal it’s storied history and practical use by residents today. Tsingpu Yangzhou Retreat was built on a site dotted with small lakes where the work of Neri & Hu is a lyrical reimagining of traditional Chinese architecture using 1.2 million reclaimed bricks. Courtyards play a pivotal role in a series of interconnecting structures, blurring the transition from interior to exterior and connecting the elements of the sky and the earth. The grid of walls and narrow pathways guide guests through the complex, sometimes up steps for unique vantage points of the surrounding natural beauty, and at others to a contemplative corner for a pause. 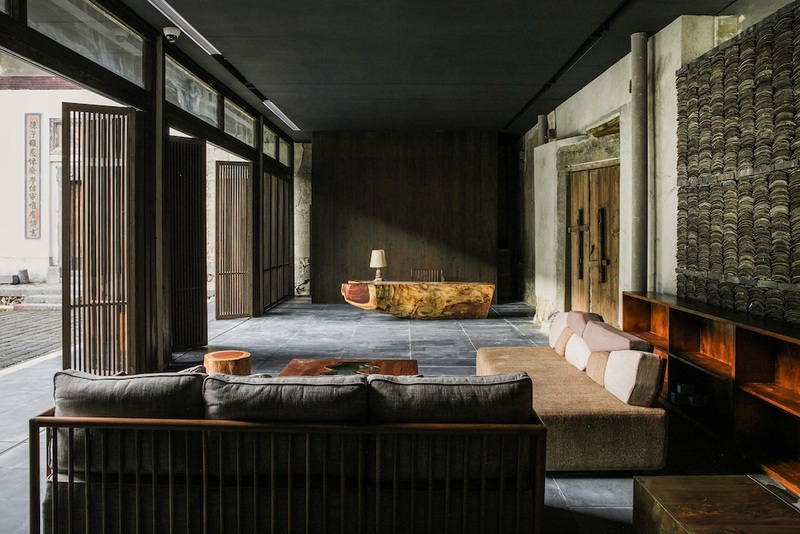 The palette of old Yangzhou architecture is reflected at Tsingpu through the patina of salvaged bricks and the walls come to life here thanks to light that streams through its crevices, offering unique perspectives. 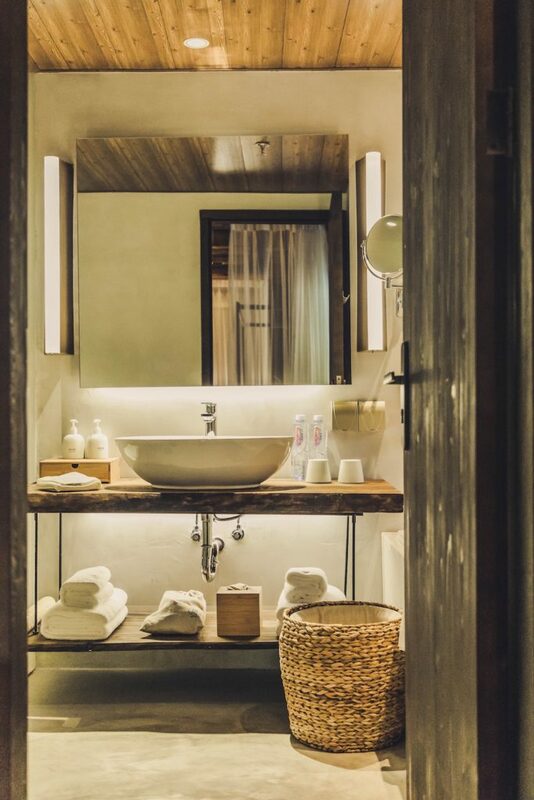 Interiors of the rooms are kept simple with the use of natural materials, while also distinctly Chinese with contemporary FNJI furniture pieces. 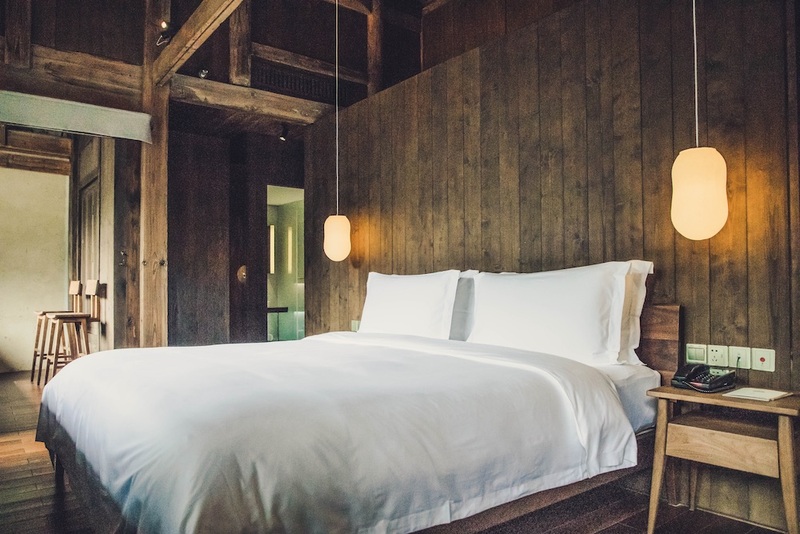 Tsingpu Retreats is committed to highlighting the best of local culture. At the 20-room boutique hotel in Yangzhou, guests can take part in handicraft and cooking classes but also more unusual activities such as opera performance class complete with costume and makeup are on offer. Situated just north of Yangzhou’s Slender West Lake, a tranquil national park, Tsingpu Yangzhou offers a precious commodity—pure serenity. Along the lake are fine examples of elegant traditional architecture, while some of the structures are actually built over the lake. Another cultural highlight is the Han Tomb Museum, located on seven acres of dense woods and majestic architecture. 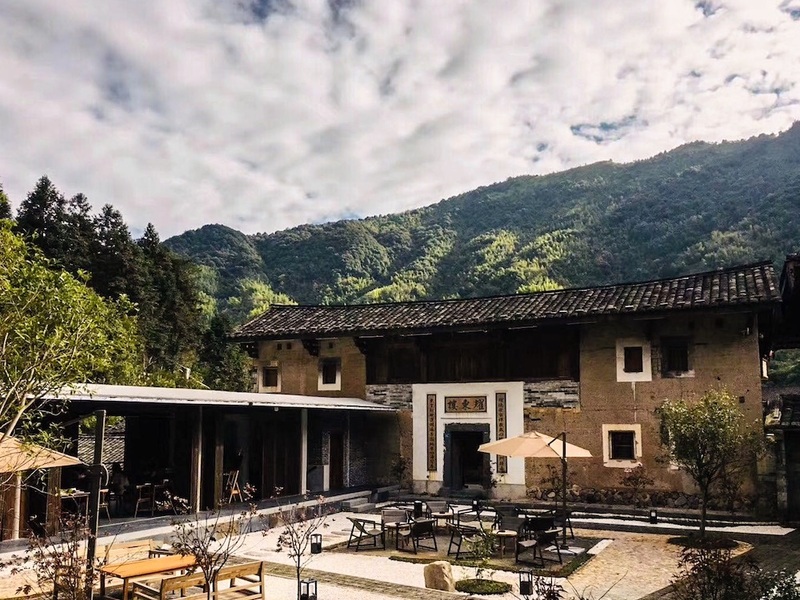 Stays at both Tsingpu Tulou Retreats and Tsingpu Yangzhou Retreats have all-inclusive meal and drinks, including local beer. Meals utilise fresh, organic ingredients in seasonal menus offering authentic tastes of Fujian and Yangzhou by local chefs, Minsong Zhang and Changzhu Zhang respectively. Menus for each location draw from the vast diversity in regional and seasonal ingredients. Owner Wang Gongquan has been outspoken for his fellow citizens as well as a driving force in business, conceiving initiatives in hospitality, finance, and beyond that, he celebrates traditional Chinese culture and brings experiences and hospitality to the next level. Tsingpu Tulou Retreat is located in Taxia Village, close to the town of Nanjing in Fujian Province, Xiamen. Xiamen Gaoqi International Airport (XMN) has direct flights from China and overseas hubs and Nanjing station is the closest high-speed train station. Tsingpu Yangzhou Retreat is located in Jiangsu Province, close to Nanjing–Nanjing Nanjing Lukou International Airport (NKG) is the closest air connection here, while Zhenjiang South station is the closest high-speed train station with many direct routes to major cities in China, including Shanghai.